There is no one best or right underwater camera to buy, but rather the best or right camera for your specific needs and budget. 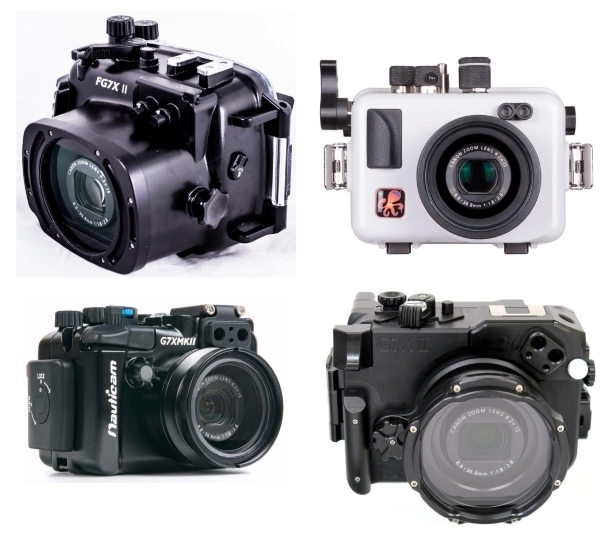 To shoot underwater photography you will need a digital camera and a waterproof housing designed specifically for that camera. 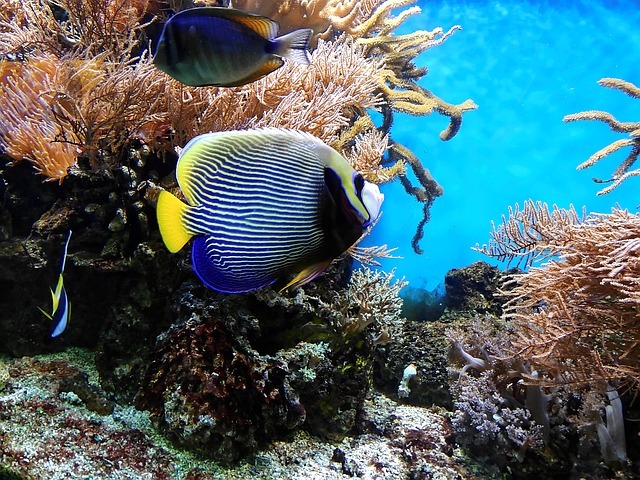 Recently manufacturers have begun to produce waterproof digital cameras, but the current depth rating is limited to few meters, 25 meters or even less. 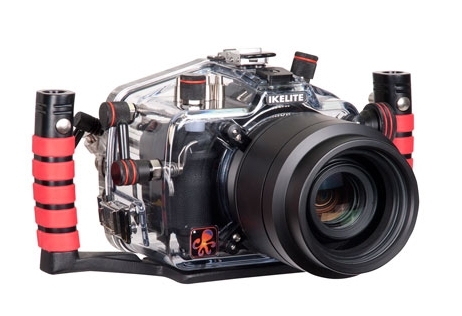 I will first go through our essential needs for choosing the camera for the underwater photography; then I’ll discuss the rest of the essential equipment. you should consider checking them before you decide to buy an underwater camera. Availability of a good quality underwater housing, also you need to check the features of your housing, like the accessibility of the camera controls, the types of connections for external strobes (otherwise you must use the camera’s pop-up flash, which can be slow to recycle and use up battery time), possibility to add external lenses (wide angle or macro), ability to accept external “wet lenses” (for point and shoot camera) These wet lenses are supplemental optics that are placed over or in front of the port to enable wider angle or closer macro shooting. Availability of Full manual mode, because automatic mode does not work well underwater as it does it on land. Availability of Manual White Balance. Manual white balance becomes important if you are planning on shooting without strobes and only using ambient light. Because of the properties of water, images using only natural light will appear blue. Manual white balance is an effective way of removing this color cast. Low shutter lag, Try to select a model with the least possible shutter lag (Compact cameras have a distinct delay between the moment you depress the shutter button and when the actual image is captured). Raw mode. This is only important if you are planning on editing your images; consider selecting a camera that produces RAW files, which are uncompressed files that preserve the most data possible, which is a valuable attribute when editing your images. Good autofocus capability. Some cameras are very slow to focus in less than ideal conditions. All compact cameras come up short in this category usually. Camera Size, for some people, size matters most. If you decide to travel with accessories like strobes and add-on lenses then the size of the camera almost becomes less important, and should not be a major factor. Fantasea line, Recsea, Nauticam, INON, Sea & Sea, they also provide other accessories like lighting, wet lenses, DSLR lens Ports, filters and diffusers, arms, try and handles, etc. The first step is determining what features are most important to you. It may be that you have strict budget requirements that will limit which features you can have in your camera. I highly recommend reading “A Beginner’s Guide to the Underwater Photography” article first to be more familiar with what underwater photography is about, and what are its essential requirements? 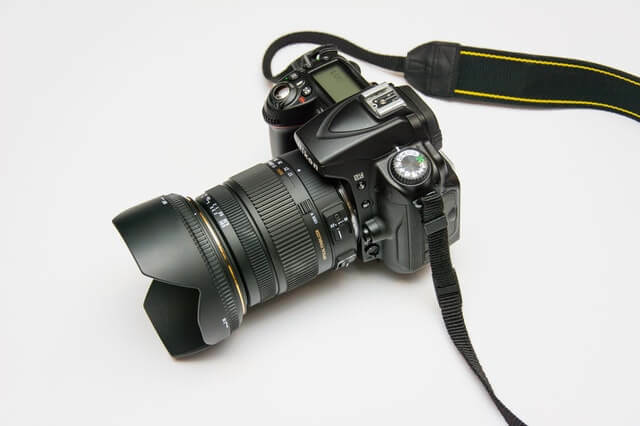 The largest difference between a compact camera and a DSLR or mirrorless camera is that a DSLR or mirrorless can take different lenses, while a compact camera has one attached lens. This can limit the flexibility of a compact camera, but using wet lenses can help to overcome this issue to some extent. 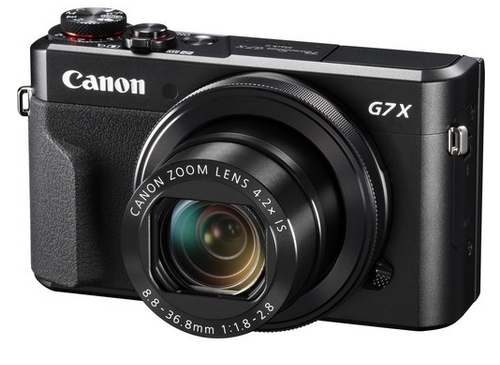 The Canon G7X II is a tiny camera with a large 1-inch sensor, a direct competitor to the Sony RX100 series cameras. It is an excellent fast-focusing camera with great image quality and has an excellent macro capability, thanks to Canon’s dedicated macro focus mode. The Canon G7X Mark II boasts improved auto-focus capability and battery life over the G7X, a new time-lapse mode, and also it has improved high-speed continuous shooting speeds. There are many manufacturers for camera bodies, they make housing from aluminum and rubber, of course, they vary very much in prices, and aluminum is much expensive, but also rugged and durable. 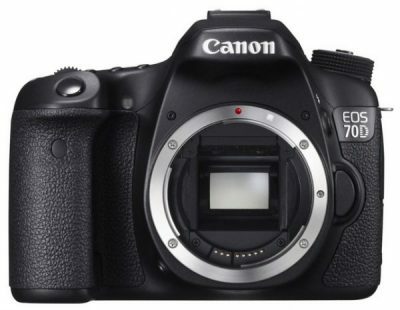 The picture below shows a different housing for the Canon G7 mark II. You can find it on Amazon from here. 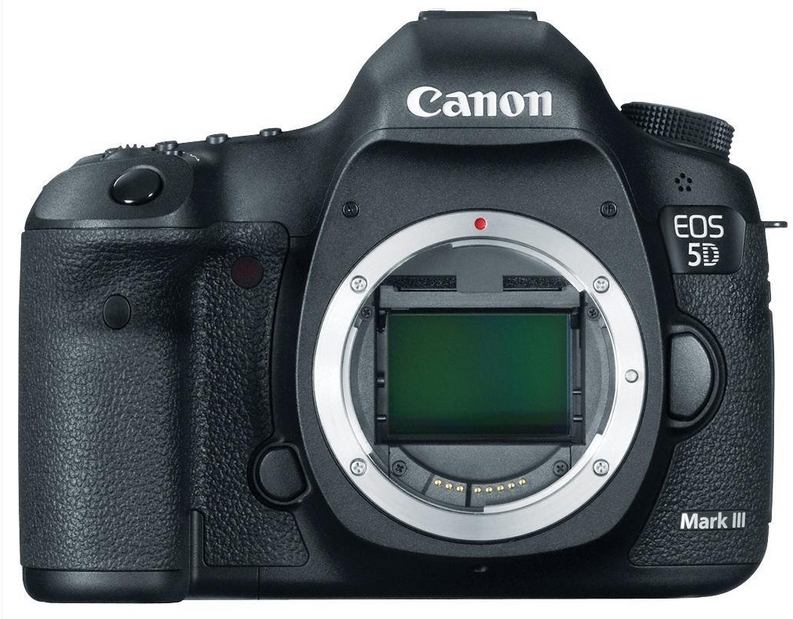 One of the top class DSLR camera. This can be found on Amazon from here. You can add a wide-angle or a macro wet lens to your housing port. Wet lenses are used on compact cameras for macro or wide-angle, and on mirrorless and DSLR cameras for macro. What is a Wet Lens? A wet lens also called add-on lenses that add macro and wide angle ability. It is any lens that can be attached or removed from the camera while underwater. The glass elements of the lenses are sealed but the junction point between the camera housing and the lens is filled with water. 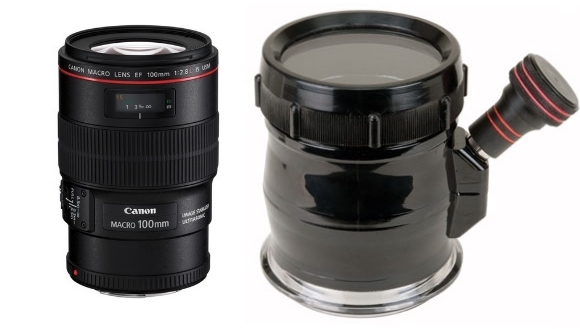 The lenses can be macro- for shooting small objects or wide angle for shooting large objects. A wide-angle lens is a lens attached to either the camera or underwater housing, which allows a very close approach to large subjects. 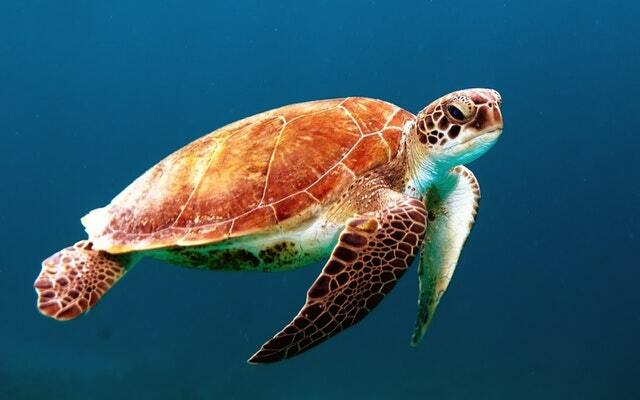 Without a wide-angle lens, underwater photographs of large subjects will have poor color and contrast. The macro lens is a lens attached to either the camera or underwater housing, which allows an underwater photographer to get very close to small subjects. Wet lenses can be added and removed underwater. There are several ways to attach a wet lens to your camera, include a bayonet mount, a “quick adapt”, and a 67mm screw mount. For example, for Canon G7 X Mark II you may choose UCL-165LD as a close-up lens, UWL-S100 ZM80 as a wide lens, and Dome Lens Unit II for UWL-S100 ZM80 as a super wide lens. As for the DSLR cameras, their housing is provided with different ports, you can choose the suitable one that can accommodate your lens. 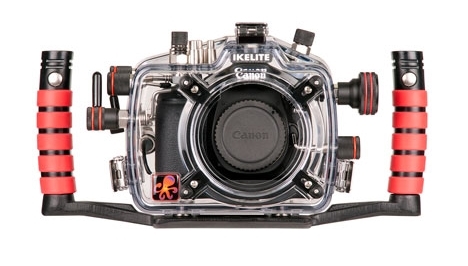 Underwater SLR housings usually have interchangeable lens ports. Generally, manufacturers offer a variety of flat ports, dome ports, and extension rings. Large objects and general scenery should be photographed using a wide-angle lens if possible, and small objects should be photographed using a close-focusing macro lens. 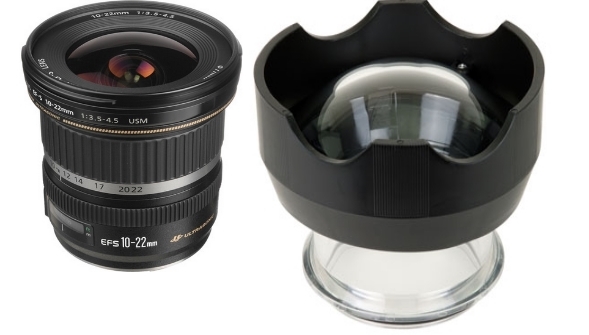 Normal practice is to use flat ports for macro and other lenses of relatively long focal length and to use a hemispherical dome port for wide-angle lenses. A flat port used underwater does not simply act as a window. Instead, the air-water boundary causes it to act as a lens. The effect of this compulsory extra lens element is to reduce the angle of coverage and increase the magnification provided by the main camera lens. A dome port is a set-up for wide-angle photography by placing the entrance pupil of the lens at the center of curvature of the dome. In this case, light rays heading for the entrance pupil always strike the port surface at right-angles, no refraction occurs, and the angle of coverage of the main lens is conserved. This convenient situation comes at a price, however, which is that the port acts as a strong de-magnifying lens. You should get one or two strobes, preferably two, and the best you can afford. If you are only shooting macro, you can get away with one. Strobes will also last for a long time. TTL is an abbreviation for Through The Lens. The (TTL) metering is a feature of cameras whereby light levels are measured through the lens that captures the picture, as opposed to a separate metering window. 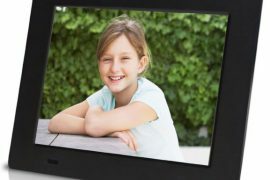 This information can then be used to set the correct exposure and control the amount of light emitted by a flash connected to the camera. 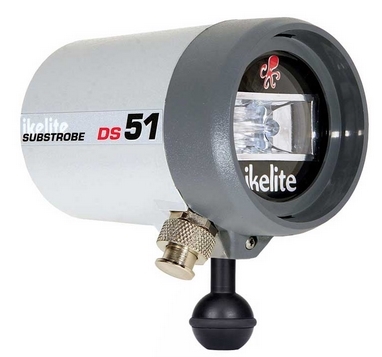 It means, basically, that the strobe power is adjusted automatically for correct exposure every shot. Finally, I have to emphasize that underwater photography is an expensive type of photography; because it can be an equipment intensive hobby. So be very careful when deciding. Also be aware of the compatibility issues between the different types of equipment. Thank you for passing by and for reading the article, hope you enjoy it and found it useful to you. If you have any question or comment please leave it down in the box below and I’ll answer it as soon as possible. If you do like the site, don’t forget to subscribe, we will notify you only if a new article is posted. 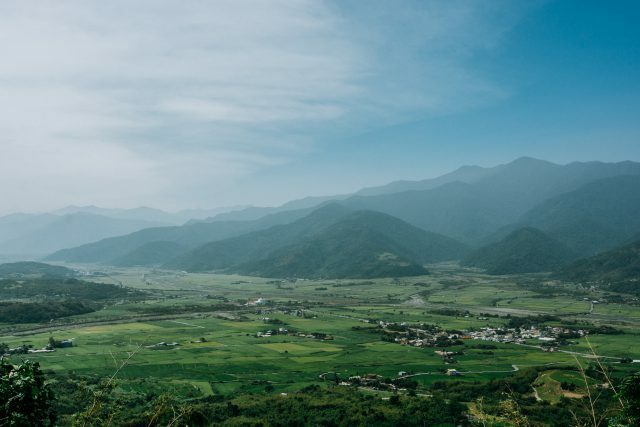 Also, if you like reading about other types of photography, you can check my post “The Different Types of Photography “, you will find 25 more types of photography. 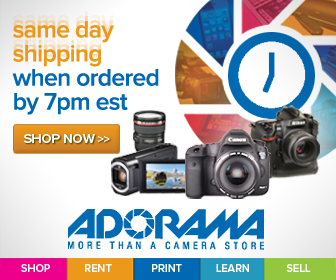 Top Gifts For Photographers – Make Them Happy! 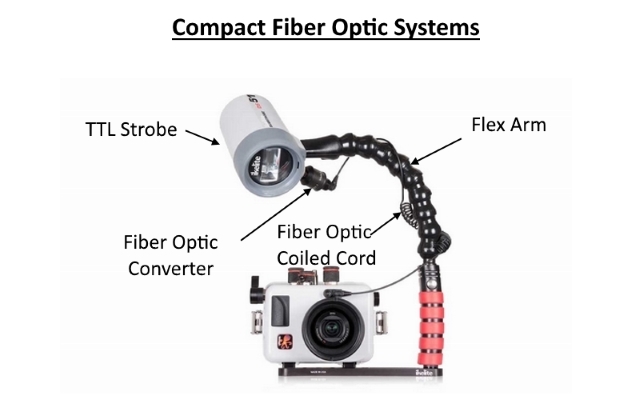 Thanks for this information, I used to buy these cameras blindfolded and as a result I got into many problems because no one gave me the right insight of the requirements of a good water camera. 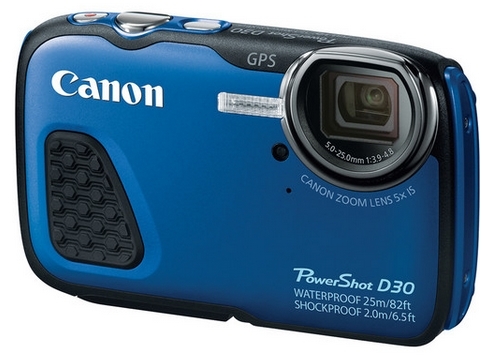 The Canon PowerShot D30 Waterproof Digital Camera looks good I’m going to go for it. Thanks for your comment, glad you found the post informative, the Canon D30 is a very good entry-level choice. 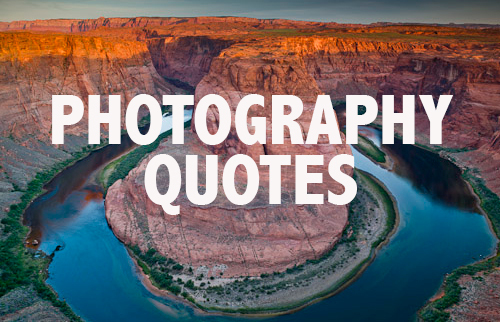 Go for it and happy photographing! This website is great! The first thing to catch my eye was how detailed the pictures featured on this page are. I mean wow! I really liked the “courses” page. Very helpful and informative pictures for each course. If photography were something I would like to get into much more this would definitely be the website I would come back to! Thank you for your nice comment, hope you all the best. Most photographers don’t think about underwater photography. I have been a photographer for years and years, yet this aspect of the profession has never crossed my mind. Maybe that’s because I don’t swim too well! Anyway, this is a highly informative article and anyone wanting to know about gear for underwater photography ought to bookmark this web page for reference. Thanks for passing by, sorry to know that you aren’t such a good swimmer. You surely are missing a great fun and opportunity to shoot amazing photos. Thanks for your comment.